We are dynamic, multi-faceted, exquisitely messy creatures. Despite this fact, rigid societal expectations conflict with our fluid, organic nature. Confined and defined by normalcy, stereotypes, and protection of the status quo. If we don’t conform, criticism awaits to make us feel like something is wrong with us. 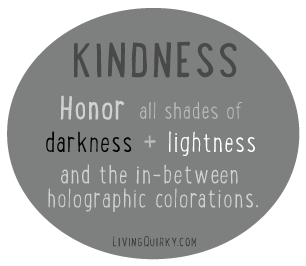 Multi-colored spectrums trapped inside a black and white paradigm. This can feel as if the only choice is to fit in or be an outcast. At war with our self and the world, we learn to hide certain parts, presenting only the pre-packaged versions that are acceptable. 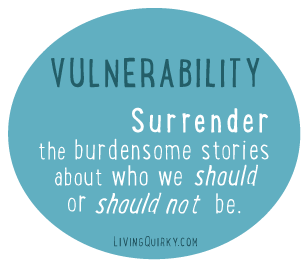 Even if we express 99% truth, we keep the most vulnerable parts locked away where no one can find them. What if the very parts we hide are the best parts of us? What if those parts are what makes each of us extraordinary? 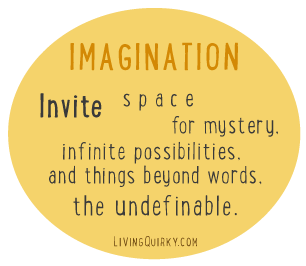 The undefinable “something” each one of us has. 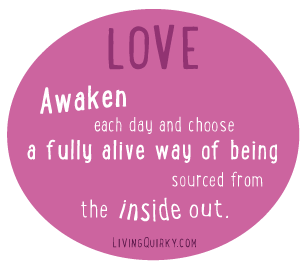 At Living Quirky, this is why we celebrate a new way of being: an inside out approach where the multitude of who we are comes to life. A quirkilicious tidal wave is happening across the world. Where we’re freer than ever to be who we are. Challenging our assumptions of what’s normal vs. weird. We, you and I, are expanding far beyond the conventionally labeled boxes that have confined us. 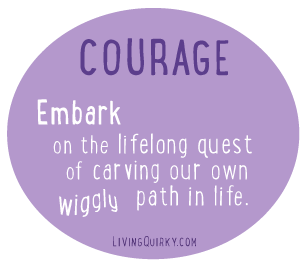 This shift is quirk-tastic, but it can be really challenging and terrifying. Adventuring beyond our comfort zone into something new is tough stuff! 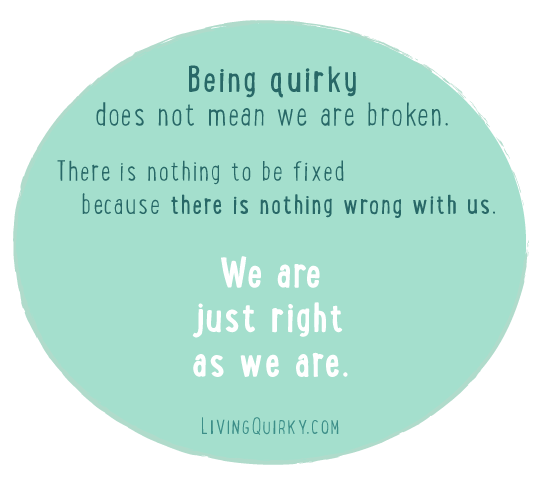 That’s why we come together as a QuirkNation. To cheer each other on through those vulnerable moments. 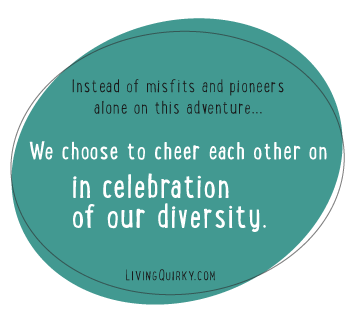 To share resources, celebrate individuality, and discover alternative points of view. 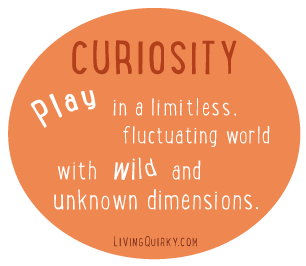 To explore questions and experiments with lots of playfulness so each step feels lighter and freer. 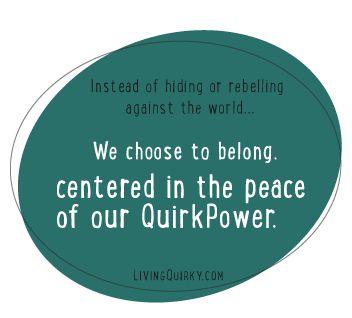 We are the Quirksters of the QuirkNation. 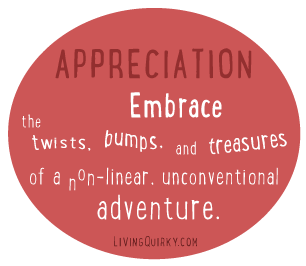 And, we wholeheartedly welcome you into our Quirkdom! With oodles of wiggle room to relax, breathe, and to explore fully and deeply. We’re all coming from different perspectives and headed on different paths. Unified by a commitment to respect and accept ALL of who we are. Note: still working on mobile version, image format best viewed on desktop computer! 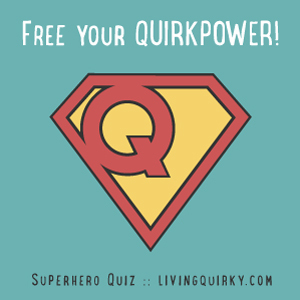 + You'll get a free random dose of Quirk-Juice!